This is a light sketch on prayer. Kristi: Oh, dear friend. I love You! I love You! I love You! You have been so, so good to me. Love You! Love You! Love You! I’m alive! I’m alive! I’m alive! And I love, love, love You! Kristi: I’m so glad You’re my friend. You are such a sweet friend. Kristi: How do I love Thee? Let me count the ways! Kristi: I lift my voice to honor You, O great and wonderful friend. Kristi: You are above it all! (looks at her watch) Oops! I have to be going. Erin: Oh, Hi! Hey that reminds me. I had a couple of things I need to talk with You about ”like my finances. Do You think You could get me that raise they’ve been dangling over my head for the past two years? My sis- ter is freaked out over her marriage. Jim’s driving her nuts, and they might get divorced. Erin: And I have a crick in my neck. Could You work on that for me? And the missionar- ies…I hear they need some help. Erin: All of them. Right? Oh, there’s my cell phone. (talking on the phone as she exits) Oh, Hi Joe, I’m glad you called back. I’m bored stiff with you out of town. Let me catch you up on what’s going on in my life. Carly: OK. Here it goes. I don’t have much to talk about. Just the same old same old. I only have a few seconds before I need to get back to work. It’s important stuff I’m dealing with today, so make it snappy. Anything? I’m wait- ing. Good. Hopefully we can meet again tomorrow. The Friend: (to audience) Now there was a girl with an agenda. Jerry: Hold on. Let me check my list. Did I mention heal toe? The Friend: Yes. I heard that one. Jerry: That’s the right big toe ”some kind of wart thingy. Pat: Oh, Thou my friend of all friends. Thee whose holiness and righteous bulwarks are thus numerous upon Thy earthen sod. Wilt Thou, as the great being of my life, giveth grace to all who need Thee. And causeth all sundry blessing to fall before Thy throne. The Friend: (to audience) That’s Greek for over and out. (to Pat) Is that all? Karie: Good morning. It’s me again. I have so much I need to tell You! Can You come with me? The Friend: (to audience) Finally. (to Karie) I thought you’d never ask. Let’s go. Frankly, I’m tired of hearing about fake news. Fake news draws in the gullible at an alarming rate. You’ve certainly had friends on social media post links about all sorts of deliberately crafted lies in order to press an agenda. And It’s not just the world outside the church. We see incredulous, hyperbolic news to support the Christian worldview also. But we all know that the concept of fake news is not new. And it’s not confined to social media. It’s not only from TV preachers and Christian music that doesn’t square up to the truth about life or God. Lots of fake news just sneaks into our consciousness like a theif, stealing our joy, courage and authenticity. The enemy has been posting fake news for centuries. Here are four examples of fake news many Christians believe. God will accept you once you get your act together. We so often fail to approach the throne with confidence because we feel that Jesus is angry and dissatisfied with us as followers. We magnify all our failures and live in a shadow of shame and self-condemnation. There is therefore now no condemnation to those who are in Christ Jesus, who do not walk according to the flesh, but according to the Spirit. After the resurrection Jesus pursued a reunion with a denier, a doubter, and a number of deserting disciples. He’s not the ogre waiting for us to forget to floss so he can swat us with his golden fly swatter. He’s not a passive god who sits around drumming his fingers on the throne, watching CNN for the latest on world-sized problems while yawning at our infinitesimal requests. That’s not who God is. He is with you and He is for you. Salvation happens when you get all the facts right. Salvation is not an intellectual hoop to jump through. It is belief in Jesus even though you are sometimes struggling to understand everything. Children certainly don’t understand everything and yet Jesus tells us to come to Him as children with all our uncertainties and struggles. The church often minimizes the process of salvation to a doctrinal game of jeopardy. On the contrary, your faith is not dependent upon you having the correct view of the 70 weeks of Daniel. Thank you, Jesus! It has always been about faith and faith is not without its mysteries. In fact, faith is all about the mystery. Celebrate the mysteries and love Jesus. If you pray right, you’ll get everything you request. One of the greatest struggles most believers experience is the perplexity of unanswered prayers. It’s easy for us to view prayer as a giant vending machine with the candy bar stuck in the machinery. The more we invest in it the more frustrating we become with the process. This is the time to move forward in prayer knowing that God has a better view of our lives than we do. Trust that He will work in His own way and His own time. But NEVER stop partnering with Him in prayer. You will find the reward of unanswered prayers: greater faith and dependence upon God. God wants you to be pain free. Pain is one of God’s greatest teaching tools. The pain you experience will further your growth, cause you to depend on Him, and allow you to help others. But he (Jesus) said to me, “My grace is sufficient for you, for my power is made perfect in weakness.” Therefore I will boast all the more gladly about my weaknesses, so that Christ’s power may rest on me. Pain is actually a sign that God has not given up on you! 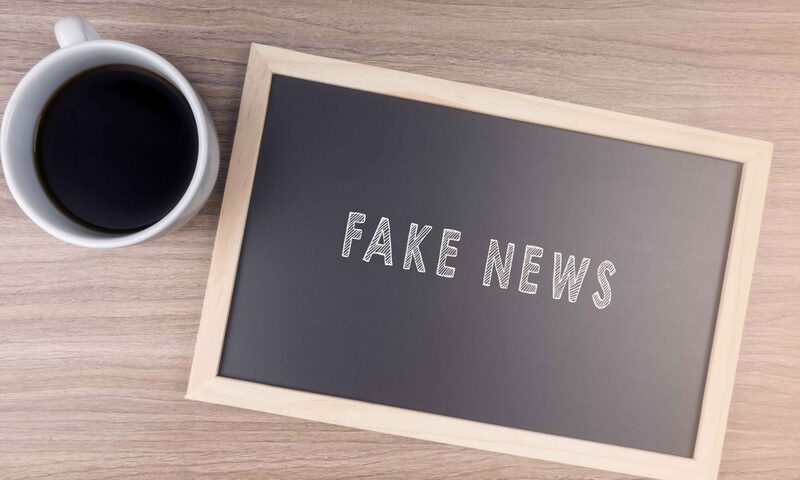 So there you have it–Four fake news items all Christians struggle with from time to time. What fake news have you discovered. I’d love to here about it. Hopefully discovering fake news is good news today! I’d love to be the kind of believer who oozes spirituality, but the real me is a scattered, messy, stumbling Christ-follower. My life is filled with to-do’s, deadlines, meals on the go, and Skype. Is there any reason to think I could ever be good at prayer? Of course! And if that’s something you’ve ever wondered, you can too. 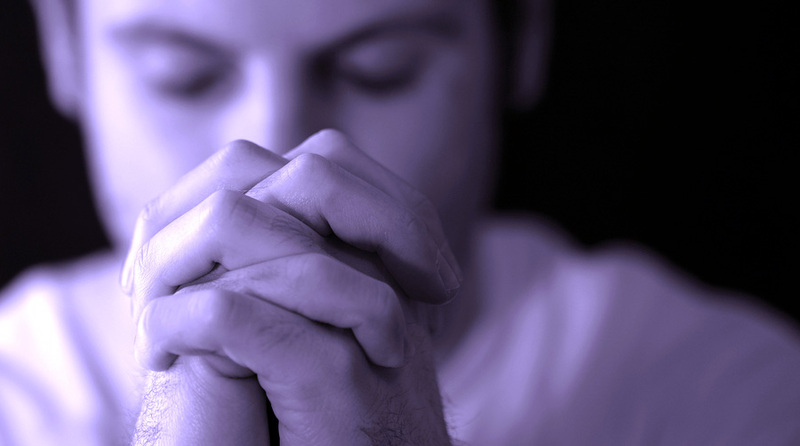 The reality is, most of us are way too busy to ignore the mystical, practical, whimsical, illogical gift of prayer. The only real way you will ever see continuous, intimate, radical prayer is to make prayer a breath, a time, a space, and a celebration. (I’ll explain—hopefully.) Prayer should be a dance throughout your day. It’s a constant conversation between two people—you and God. He seeks to hear from you. He wants to know your struggles, your joys, your sorrows. Newsflash: It’s not a secret; God is accessible to you at any moment and in any place. You can stop and pray like you stop to say hello to the guy you see every day in the flannel shirt chewing on a coffee stirrer in the hallway. The only difference is that the guy in the flannel shirt is not invisible, and he didn’t create the universe. You can learn to pray like you breathe. In with the epiphanies—the God-winks you see in your day—and out with cries for mercy and deep groans of desperation. Here are a few ideas on how to bring prayer to the forefront of your daily walk with God. Be my Father right now. I am extremely ADD, an un-medicated collage of daydreaming and distractions, so it helps me to have a place to fall into prayer. Something that involves my knees. For me this is a prayer bench. It tells my body that I’m not answering the text, not surfing the Web, and not talking to anyone or focusing on anything else when I kneel at the bench. It’s a God moment that sometimes lasts 117 seconds and other times lasts until my knee caps go numb. A prayer bench is just a tool—a place to go to say things to God. There’s nothing powerful about the bench itself, but it reminds me that I’m a beggar who knows where to go for the good stuff of life. Sometimes I have to see proof that God is at work. And one way I do that is by keeping a prayer journal. I write prayers and worship thoughts. I share my struggles as if I’m speaking to God through my pen. This fermentation process allows me to review where I’ve been and where He has led me too. You can journal to God in hard copy or on an online anonymous blog. It’s easy to create this through Tumblr, Blogger, or TypePad. Some of my prayers are like e-mails. Short. 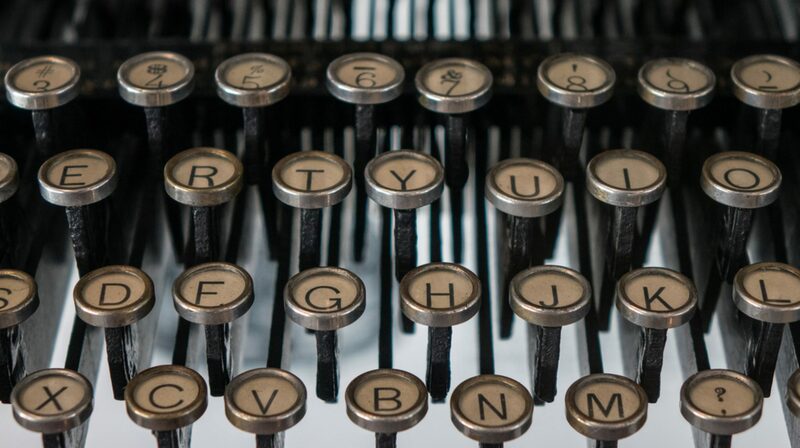 Under, say … 140 characters. For those prayers, I twitter. Twittering my prayers is fun because other people see what you are praying for and they begin to pray too! I don’t have a huge Twitter following; just about 175 people. But I’ve heard from many who’ve been prompted to pray for the same stuff I’m praying for that day. Once a year I make a little pilgrimage to the wilderness. I leave with a toothbrush and a Bible. I try to go where no one will find me. I turn off the cell and just have a day of silence. Do you know how completely rare that is? Just silence? I have time to wrestle through my sorrow, anger, fear, and confusion. God usually shows up after two hours or so and I get about as close to a supernatural experience as I’ll have in the year. Try it once and it will change your life. A whole day disconnected from your life? Sure, it’s strangely Victorian. But it’s interesting … every time I’ve done this, the earth continued to spin just fine without me. Who knew? But if you decide to throw caution to the wind, be sure to remember the basic laws of safety—from weather, forest dwellers, and of course the boogey man. I have more days behind me than I do in front of me so I am in a hurry. I can’t afford to be cynical, satisfied or slow. I don’t want to do anything halfway for You. I don’t want to be pulled away by self interest, pride, or opposition. 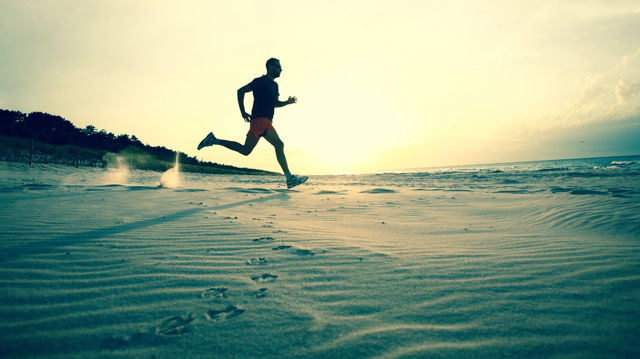 I don’t have the time to live on the treadmills of accomplishment and notoriety while the world around me starves from lack of grace, drifting away from the mystery of the Divine. Commandeer my life for Your glory. Open my hands, sharpen my focus and steady my aim. Make short work of the claptrap meanderings of my own voice. I am weary of it. I am not satisfied with teaspoon-sized, halfhearted, unbroken, lifeless worship. I will not sing anything that I am not willing to live. I refuse to accept meaningless prayers for temporal things in my conversations with You. I refuse to look at others and judge what they are doing or how I am doing. I refuse to hold back anything from You no matter what the cost is. There’s no way to do anything but love with even the slightest and most fleeting glimpse of the cross. So, I want to run as fast as I can, pray with the constancy of angels and love everyone I encounter, even if it means pain. And I will make the most of this day in all of its paradoxical, mysterious glory. There’s just not enough time to do anything else. 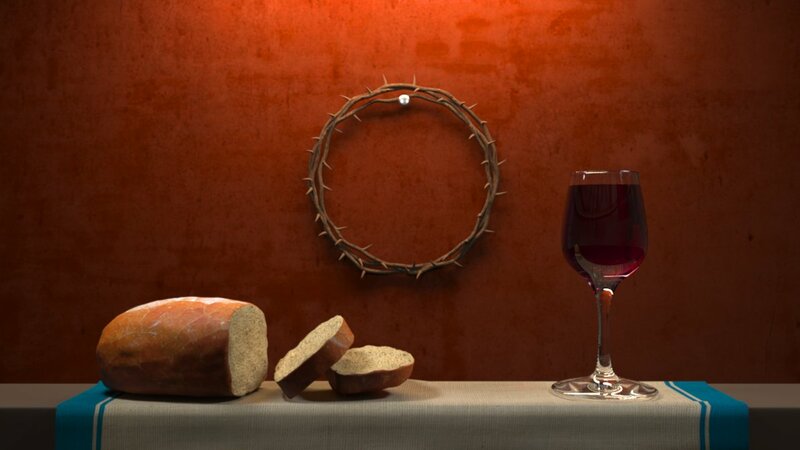 (A Prayer of Benediction for the Lord’s Supper or Easter Celebration) Lord, I want to ask for Your forgiveness. Tonight my eyes were opened as we sang the words to those hymns that I’ve sung thousands of times. For the first time in my life I was struck by the vastness of Your grace and love for me, and it pierced my heart. I looked at my hands that have so many times brought You shame as I have clinched them in anger. As I have pointed the finger of blame at the innocent, as I have held forbidden fruit—these hands were never pierced. And yet the loving hands that fed and healed and served, those perfect hands of grace were pierced for me. As we prayed I touched my forehead, I remembered my moments of rage when I accused and fussed and frowned. But my brow was never pierced. And yet Your brow was pierced by thorns. Your wounded head was bleeding. You shed Your blood for me. Lord, I know that I’ve heard the story a thousand times. I believed it. And it was true. But tonight . . . it was as if for the first time I looked You in the eyes and I felt the holiness of worshiping a God who died. A God who gave His own life for me. My feet have never felt the gnawing pain that You endured on the cross that day. My shoulders have never carried the burden of the world in the shape of a cross. I have never been stripped of everything to die a sinner’s death. My back never scourged . . .
My face never spit upon . 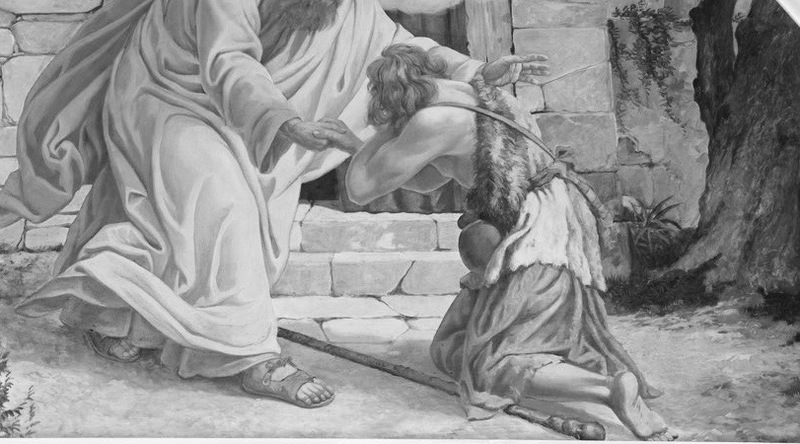 . .
Oh Lord, the agony, the humiliation, the torment—the love. How could You love me that much? Tonight, as we took the bread and drank from the cup, I felt the holy presence of Your love. Thank You, Lord. I don’t understand Your love. I probably never will. But I want You to know that tonight I saw You, and I will never be the same again. We wait on Him, but O how often He must wait on us! How will we step into holiness without entering the closet? Each believer will find her voice in prayer different than her friends… just as different as her fingerprints. Prayerfulness is awareness of the presence of the Creator. Often in my prayer life I perceive that God is waiting for me to stop talking so He can speak. Meditating on God is a settling of the daily internal conflict that is insidious in modern life. Seeking God is not knowing about God. It is knowing Him. It’s personal not merely theological. In spiritual midnights you can find true intimacy with God if you let go.